The UK car industry remains the most exciting in the world - no other country has anywhere near as many independently-owned sports car manufacturers. In small workshops across the country, a host of home-grown, home-owned companies continue to make a wealth of characterful high-performance vehicles. Free from the globalised, homogenised constraints of shared car platforms, or whether the boot can hold the weekly shopping, they focus instead simply on engineering pure driving pleasure, be it raw or encased in luxury. One such company is Ariel, based in the tiny village of North Perrott, in the middle of the rolling Somerset countryside. Owned and run by former Aston Martin designer Simon Saunders from a workshop little bigger than a double garage, since 1999 it has made one of the most futuristic sports cars on the planet - the Atom. 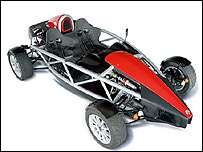 For while the rural tranquillity of North Perrott appears unchanged from the 1930s, the Ariel Atom is like something from a science fiction film. In essence, just four wheels and a two-litre engine bolted to a steel frame, it doesn't score very well on the practicality front - not only do you not get a roof or boot, you don't even get any doors. But weighing just 500kg, less than half the weight of an average small car, what you do get is a car that will do 0-60 in under four seconds and beat a Lamborghini around a race track. All for less than £25,000. And while perhaps not for the faint-hearted, the Atom is entirely road legal. "For a small company like ours to be successful there is no point is us trying to compete head to head with the big boys," says Mr Saunders. "Our advantage is that unlike the big car manufacturers, we don't have to worry about practicalities - people don't buy the Atom to do their weekly shop at Tesco for example. "Instead we focus solely upon putting a smile on the driver's face. "Obviously we wouldn't be someone's day car, but for sheer driving enjoyment at the weekend or around a track, it is hard to beat us." Only making two Atoms a month, Ariel now has a waiting list, and says its rather isolated location has not been a problem. "Obviously we don't have any showrooms, so people have to come to us," says Mr Saunders. "It is a long way from pretty much anywhere to get to us, but the way I look at it is that if you were after a fighter jet, you'd hardly start looking on the High Street." Another up and coming small-scale automotive company in the south west is Exe-tc, a suspension specialist that employs seven in Exeter. 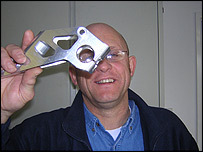 Established in 1996 by New Zealander Graham Gleeson, a former professional motorcycle racer, he had the brainwave of adapting motorcycle suspension systems for sports cars. 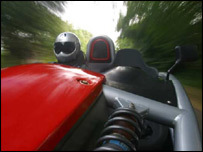 "The car industry led by Formula One had historically put its efforts into aerodynamics, to the detriment of the suspension systems, which were actually a lot less advanced than motorcycle systems," says Mr Gleeson. "So I thought why not develop motorcycle systems for four wheels?" It was a brainwave that first won Exe-tc a contract with the Jordan Grand Prix team, closely followed by the Subaru and Citroen World Rally Championship teams. "What flourishes in the UK is the eccentric, quirky side. We have all these designers and engineers always asking questions and seeing how things can be done differently or better," says Mr Gleeson. 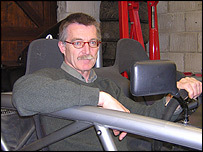 Mr Saunders agrees, saying, "when it comes to sheer entrepreneurialism and British inventiveness, our small sports car producers are hard to beat."